'American Rising': When Slaves Attacked New Orleans In January 1811, 500 armed slaves rose up from the plantations and set out to conquer the city of New Orleans. Host Guy Raz speaks with Daniel Rasmussen, author of the new book American Rising: The Untold Story of America's Largest Slave Revolt. The United States' largest slave uprising began in 1811, on a plantation 41 miles from New Orleans. Two hundred years ago this month, the elite in New Orleans were making their usual preparations for Mardi Gras. Plantation owners were planning all-night parties, and the women of the house were looking forward to elaborate masquerades and balls. What they didn't know is while they were planning for their annual carnival festivities, their slaves were planning a little something of their own. On one fateful night, 500 armed slaves rose up from the plantations and set out to conquer the city. Weekend All Things Considered host Guy Raz talks with Daniel Rasmussen about the little-known events of the slave rebellion of 1811. 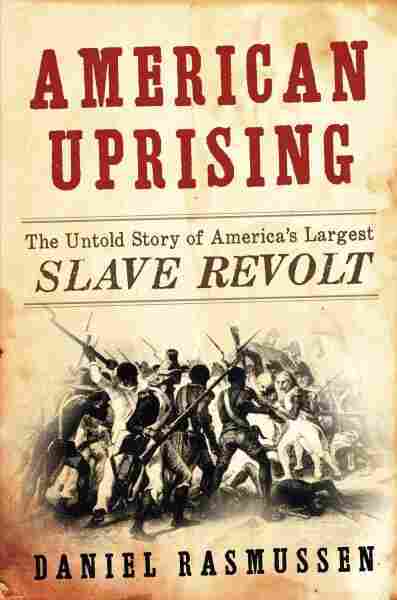 Rasmussen is the author of the new book American Uprising: The Untold Story of America's largest Slave Revolt. On the night of January 8, the rain continued to come down. Water coursed along the wood roofs of the slave quarters, drowning their staccato voices with streaming, rushing noise. Twenty-five dark faces looked on as the slave driver turned rebel Charles Deslondes laid out the plan and gave some final words of encouragement. Every man assembled knew that his presence meant a near-certain death sentence if the revolt failed. 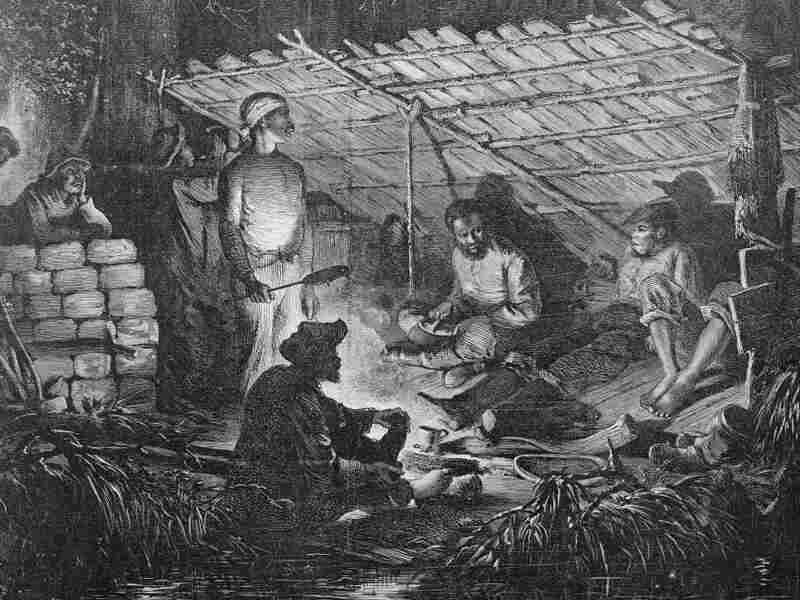 No slave revolt in Louisiana had ever before been successful, and the punishment for failed rebellion was clear: torture, decapitation, and one's head upon a pike. Yet with the planters distracted by Carnival and the American military fighting the Spanish past Baton Rouge, the slaves believed they just might have a chance. No records survive to tell us what Charles said to his men in the final minutes before they attacked. The slaves were preparing for battle, not taking notes. But perhaps Charles acted like the leader of the 1812 Aponte Rebellion in Cuba, who took a sharpened machete, stabbed it through a plantain, and shouted to an audience of slaves, "This is how I will run it through the stomachs of the whites." As the slaves made their final preparations, their planter masters, Manuel Andry and his son, Gilbert, lay asleep in their beds in their respective chambers, surrounded by family portraits and fine furniture from Europe. Lulled to sleep by the pitter-patter of rain, perhaps they now dreamed of the month of dances and parties ahead. They felt secure in a world they had created. Both leaders of the colonial militia, the two were respected men in their community. But to the slaves, they were known only for their cruelty -- for the frequent whippings that left deep scars in the backs of several of the newly minted rebels and the iron collars they would fasten around the slaves' necks. With the clouds darkening the cane fields and the rain blotting out the noise of their approach, the slaves hastened toward the back door of the Andry mansion. Catching each other's eyes glinting in the night, they held their cane knives and machetes with tight fists. Even in the darkness, Manuel Andry's plantation cast a formidable shadow. A high roof soared into the sky, shielding a piazza and a broad gallery from the rain. With Charles leading the way, the slaves entered the brick-walled storage basement and made their way toward the wooden double staircase that led upstairs to the quarters where Manuel and Gilbert Andry slept. As the slaves stormed onto the second-floor landing, Manuel Andry woke to the sight of dark forms penetrating his bedroom. As his eyes snapped open and his brain awoke with a fright, Andry caught a glimpse of Charles Deslondes, a new look on his face, ordering his fellow slaves toward Andry with an axe. One can only imagine Andry's reaction, in the fog and panic of those first instants of awareness, to seeing Charles, his most loyal driver, his reliable assistant for over a decade, the man he had trusted to manage his plantation, now turned betrayer and potential murderer. His mind clouded by fear and anger, Andry's eyes fixed on Charles's axe, a plantation tool transmuted into an icon of violent insurrection. As the slaves surged towards him, Andry leapt from his bed. The slaves stood between him and the staircase -- and the staircase was his only way of escape. Andry made the decision to act, charging towards the surprised slaves. As he rushed through the crowd of rebels, the slaves lunged at him, slicing his passing body with three long cuts. But somehow Andry made it past. He hurled himself toward the staircase, turning his head only to catch a most horrifying sight: the slaves swinging their axes into his dying son's body. Pursued by a pack of angry rebels, Andry could not stop. He could not turn back. With the bloodcurdling vision of his son's death emblazoned in his mind, his adrenaline took over. He ran for his life. He sprinted through the clover fields in front of his mansion toward the water, where he knew a pirogue lay on the levee. As the slaves hacked Gilbert Andry into pieces, Charles decided that it would be fruitless to send men chasing after Manuel. His ambitions were greater than killing one planter -- even a planter he hated so personally. He sought liberation and conquest on a greater scale. He did not think Manuel Andry would make it too far -- and even if he did, a wounded middle-aged planter posed little threat to his slave army. Or so Charles thought. In Charles's mind, the tide had finally turned. Baptized with the blood of his former master, Charles and his men broke into the stores in the basement of Andry's mansion, taking muskets and militia uniforms, stockpiled in case of domestic insurrection. Many of the slaves had learned to shoot muskets in African civil wars, while others would fight more effectively with the cane knives and axes they had learned to wield in the hot Louisiana sun. As his men gathered weapons and shoved ammunition into bags, Charles and several of his fellow slaves cast off the distinctive cheap cotton slave clothes and put on Andry's militia uniforms. Charles knew that the uniforms would lend the revolt authority, wedding their struggle with the imagery of the Haitian Revolution, whose leaders had famously adopted European military garb. As they sought to rally other men to their cause, he must have hoped the uniforms would reassure the doubters of the legitimacy of their plan and their organization. If the revolt were to succeed, he would need numbers. Amid the rainstorm, Charles shouted orders to his fellow slaves. They assembled in the clover field in front of Andry's plantation, falling into line behind Charles, who was now mounted on horseback. They were familiar with military discipline: their work on Andry's sugar plantation had taught them to follow orders with alacrity. But now they were motivated not by fear of the lash, but by the hope of freedom. They were forty-one miles from the gates of New Orleans, which they hoped to conquer in two days' time. Asked later why he had left the Andry plantation that night, the rebel Jupiter replied that he wanted to go to the city to kill whites. Charles and his men began to march. Charles shouted, "On to New Orleans!" and the newly formed rebel army shouted it right back. The revolt had begun. Excerpted from American Uprising by Daniel Rasmussen, to be published in January 2011 by Harper. Copyright 2011 by Daniel Rasmussen. All rights reserved.